There are five healthy habits that make healthy people different than everyone else. And, it’s not all about eating green plants and exercising! Our healthy habits list actually includes a list. Yes, adopt the practice of making a to-do list every day to help keep yourself organized in an increasingly complex world. You have no debt. You’re highly organized. You eat healthy every single day. You exercise at least four times per week. You never binge on TV or social media. You sleep eight hours every night. Your life consists only of healthy habits, and you avoid any negative influences that could stop you. Okay, okay, so you’re not perfect? The good news is that no one is! We all could use small lifestyle changes to become healthier people. Below, we list the top five habits that healthy people practice regularly. By making a commitment, you can adopt these healthy habits, too. Your goal, however, should be to tackle only one at a time. That is, don’t try to conquer all five at once. Instead, choose one (or up to three healthy habits at most) and follow the 21/90 rule. What’s the 21/90 rule? It refers to the fact that research shows it takes 21 days to create a new habit and 90 days to create a lifestyle. After you have selected one of the healthy habits below, try to incorporate it into your lifestyle for 21 consecutive days, and then continue until you reach 90 days. By then, it will have become routine. Nutritious meal planning tops our list of healthy habits. It’s first on the list of healthy habits for a reason. Meal planning is the single greatest weapon to incorporate healthy eating into your daily lifestyle. 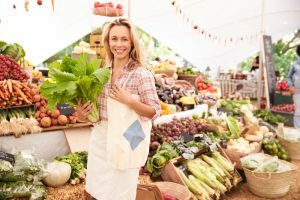 Not only will you make wiser choices on food selections, but you’ll find that meal planning also will save you a ton of money. The good news is that meal planning doesn’t have to be complicated. Simply write out your favorite meals or browse healthy recipes online. 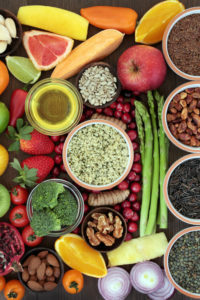 (Not sure which foods are healthy? Download our free guide here.) Try to choose enough meals to feed you and your family for one week—include breakfast, lunch, dinner, and snacks. Then, write out your grocery list of healthy ingredients. The great thing about technology is you can purchase your groceries online so you’re not tempted to buy items at the store that you don’t need. You can also look online for sales or coupons to stay within your budget. If you do shop at the store, stick to your list. And, never, ever go grocery shopping on an empty stomach! Being hungry will entice you to purchase unhealthy sweets and treats. Keep the H2O coming—one important heathy habit is simply to drink plenty of water. 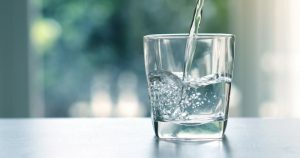 Water is the most essential component of your body, the most essential nutrient in your diet, and something you can’t survive without for more than two to four days. In fact, water comprises about 60 percent of your body weight. Without optimal water, your body can’t circulate all the other necessary nutrients, hormones, and other compounds you depend on. Lack of water will stop biochemical reactions in their tracks, disrupt your metabolism, slow the transportation of substances into and out of cells, and impair numerous other crucial physiologic processes. This one is especially important if you work at a desk, use a computer frequently, or are prone to binge on social media or television. Taking a five- to 10-minute break every hour will make you more focused and productive. And, it helps reduce stress, which can thwart chronic anxiety or depression. If you work in an office, go outside and get some sunshine. Or, to get some exercise on top of a mental health break, walk up and down a flight of stairs. Even taking a break to go to the bathroom can help! The key here is to force yourself to take small breaks to do a mental reset. If you need a reminder, set an alarm on your watch or mark it on your online calendar. This healthy habit is easy to incorporate into your lifestyle and has huge rewards. Creating lists will make you more organized, productive, and efficient. 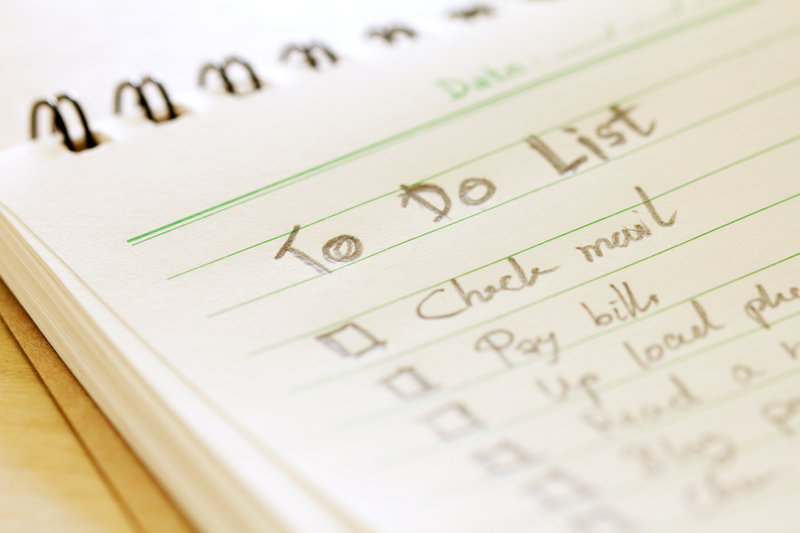 As you see your list of to-do’s, you can tackle those with higher priority first. This helps you avoid procrastination, which saves you time and money (who couldn’t use more time and money?). Additionally, making a to-do list can boost your self-confidence. As you cross off items on your list, you feel a sense of accomplishment. Not getting enough sleep can have serious effects on your health—weight gain, depression, high cholesterol, and cardiovascular disease. To maintain a regular sleep schedule, try to go to bed and wake up around the same time each day. Avoid looking at your cell phone or tablet before bedtime as the light can disrupt your circadian rhythm. Last, replace caffeine or sweets in the evening with soothing teas such as lavender or chamomile. Make a budget and pay off debt. Quit addictive behaviors (smoking, excessive drinking, drug use, gambling, Internet, etc.). Spend time with your kids/loved ones. The key is to work on at least one healthy habit for 90 days. With a little hard work and determination, you’ll begin to see improvements in your physical and mental well-being. It’s time well spent that you’ll never regret! anxiety, anxiety or depression, breakfast, caffeine, cardiovascular, cardiovascular disease, cholesterol, chronic anxiety, depression, diet, exercise, food, health, healthy eating, healthy habits, healthy meals, healthy recipes, high cholesterol, lavender, mental health, metabolism, nutrients, reasons to stay hydrated, rewards, sleep, sleep schedule, smoking, stress, weight gain, why is drinking water important. Beware of over-sleeping as well! The newest theories of sleep science show that seven hours is enough for most people. Most Japan residents sleep even less. Taking sleeping pills for insomnia can be dangerous even under the care of doctors who really supervise one. Read for yourself the data available on the Web now. Especially, the elderly need to watch out for anticholingeric medications. several friends ans also sharing in delicious. And obviously, thanks to your effort! You can do wonders for your mood, mental health, and self-esteem by taking some time off to relax. Start building healthy, life-changing tiny good habits! Just as bad habits can hurt you in many ways so good habits can spring you forward.